It’s early in the 2013 World Series of Poker, but the Event #7 $1,000 No-Limit Hold’em final table will no doubt go down as one of the most stacked of the summer. 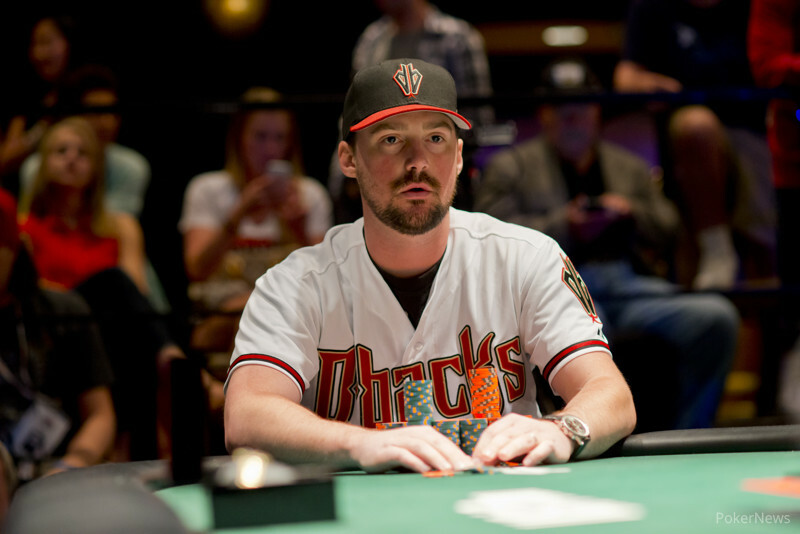 The day began with five amateurs who combined for $2,968 in WSOP earnings and five established pros with more than $4 million in combined earnings; what’s more, two of the final table participants were seeking their second bracelet—Brent Hanks and Eric “basebadly” Baldwin. 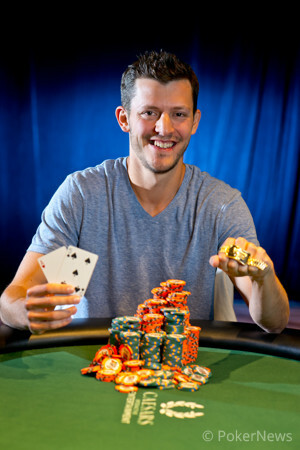 Unfortunately for them, it was 28-year-old Matt Waxman who prevailed in a memorable final table to capture the $305,952 first-place prize and his first gold bracelet. The first elimination of the day came within minutes when Scott Yelton fell to Jess Dioquino, bringing about the official final table of nine. 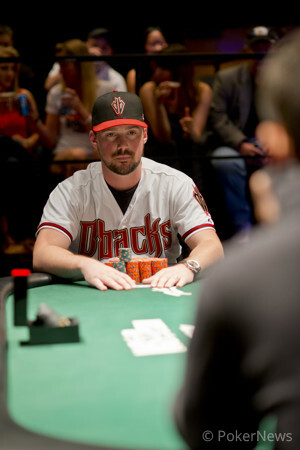 On Hand #23 of the final table, Baldwin managed to double through Jason Koon. Six hands later, Koon was dispatched in ninth place by Hanks, good for $22,435. In Level 24, Matt Waxman eliminated Tuu Ho on Hand #41 to take over the chip lead, and then sent Robert Dreyfuss out the door 21 hands later. One level later, on Hand #73, Jacob Jung was sent packing in sixth place for $51,086. After losing a good portion of his chips in Hand #74, Hanks was unable to recover and saw his dreams of a second bracelet cut short by Baldwin 20 hands later in a brutal bad beat. Five hands later, the start-of-the-day chip leader, Amit Makhija, was eliminated by Waxman when he ran queens straight into aces. Three-handed play was a quick affair and saw the last of the amateurs, Dioquino, fall to Baldwin. Heads-up play began with Waxman holding a 3.1-million-to-2.4-million chip lead over Baldwin. The Wisconsinite was able to double into the chip lead 17 hands into heads-up play, but eight hands later Waxman reclaimed it with a double of his own. The two would battle for 187 hands over the course of nearly seven hours, but during that time the duo swapped the chip lead multiple times. It really was an epic heads-up match with both men trying their upmost to win poker’s most prestigious prize. Unfortunately there could only be one winner, and as you already know that man was Waxman. Of course you can read the final hand simply by scrolling down. Congratulations to Matthew Waxman on winning Event #7: $1,000 No-Limit Hold'em for $305,952 and his first WSOP gold bracelet! Hand #293: It was an epic 187-hand heads-up match that last nearly seven hours, but it has finally come to an end. It happend when Eric Baldwin moved all in from the button for 1.025 million and Matt Waxman snap-called. Waxman got it in good, but as we'd seen so many times before during the heads-up match, that didn't matter much. It seemed the railbirds expected a double, but the reality that it could be ending came when the flop gave Waxman a pair of aces and a huge lead. Of course the turn had to bring a sweat, and it did when the dealer burned and turned the . Baldwin could stay alive with a five on the river, but this time it was not meant to be as the peeled off. Baldwin was denied his second gold bracelet but left with $189,220 to held soothe the pain. Hand #290: Matt Waxman moved all in and Eric Baldwin folded. Hand #291: Eric Baldwin limped on the button and Matt Waxman checked his option in the big blind. Both players then checked the flop and the dealer burned and turned the . Waxman bet 230,000, Baldwin moved all in and Waxman called off for 1.965 million. Baldwin tabled the for two pair but was behind of Waxman's two pair. The river improved Waxman to a full house and gave him the double. Hand #292: Matt Waxman moved all in on the button and Eric Baldwin folded. Hand #289: Eric Baldwin moved all in from the button and Matt Waxman called. We've seen a lot of all ins in the heads-up match, but every time the at-risk player has doubled. That proved to be the case yet again after the board ran out and Baldwin paired his king to win the pot. Hand #280: Matt Waxman called from the button and Eric Baldwin checked his option from the big. Baldwin then check-folded to a bet of 180,000 on the flop. Hand #281: Eric Baldwin folded the button. Hand #282: Matt Waxman shoved all in and Eric Baldwin folded. Hand #283: Eric Baldwin folded the button. Hand #284: Matt Waxman moved all in from the button and Eric Baldwin folded. Hand #285: Eric Baldwin won the pot by moving all in on the button. Hand #286: Matt Waxman folded the button. Hand #287: Eric Baldwin moved all in on the button and Matt Waxman folded. Hand #288: Matt Waxman moved all in and took down the pot. Eric Baldwin and Matt Waxman have been playing heads up for nearly seven hours, and in that time the blinds have gotten incredibly high; in fact, right now there are only 34 BBs in play on the table. We're guessing this thing won't take much longer. Hand #277: Eric Baldwin folded the button. Hand #278: Matt Waxman folded the button. Hand #279: Eric Baldwin raised the button to 240,000, Matt Waxman called and the flop fell . Waxman check-called a bet of 170,000, both players checked the turn and the completed the board on the river. Waxman checked and then folded when Baldwin moved all in. Hand 274: Matt Waxman limped on the button and Eric Baldwin checked his option. The flop fell and Baldwin check-folded to Waxman's bet of 185,000. Hand 275: Matt Waxman gets a walk. Hand 276: Matt Waxman limped on the button and Eric Baldwin checked his option. The flop came down and Baldwin checked to Waxman who bet 135,000. Baldwin folded.